Where this connector should go to? 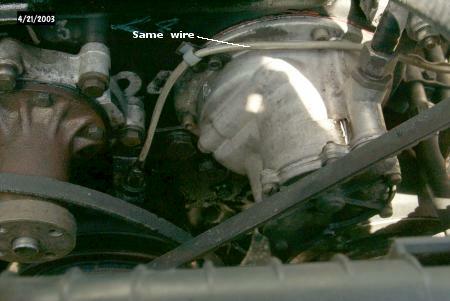 in the first part and also the connector at the end. I don't know what the purpose of this wire/connector is, and where the connector must be connected to. 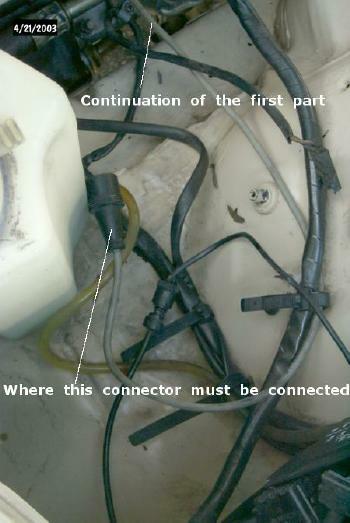 This is on a 1981 240D manual. I think this is something aftermarket. That is the pick-up for crankshaft speed. Most 240D's never used that connection. IT was there for direct engine speed comparison with special test equiptment OR if the car was equipped with a tachometer. knowing that there's no missing part.